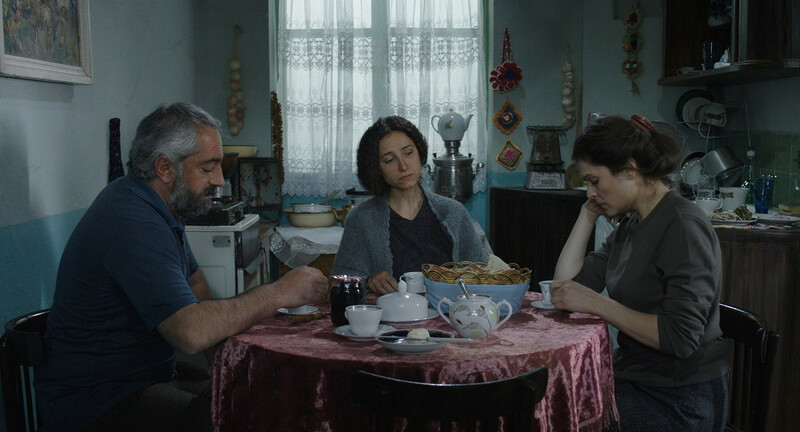 Yeva is a young woman who escapes her influential in-laws with her daughter Nareh, after her husband’s tragic death and takes refuge in one of the villages of Karabakh, Armenia… Yeva is a complete stranger in this village and is obliged to live her daily life in disguise. Born in an Armenian family in 1969 in Tehran, Anahid Abad holds a BA in Film Directing. During her career she has served as First Assistant Director and Planner to many movie projects in the professional Iranian cinema. She has cooperated with prominent directors such as Alireza Davood Nejad, Abolfazl Jalili, Rasoul Sadrameli, Ahmad Reza Darvish, Varuzh Karim-Masihi, Bahram Beizaie, and so on. Since 2006, she has been a member of the Central Board of Assistant Directors & Program Planners Institute of Iran Cinema. In 2010 she became the Head of this institute. Old Cemetery of Armenians of Tehran (1998-1999), Alik Daily (2001) My Kindergarten (2002), Ararat (2003), Iranian Armenians (2005), Julfa and the People of Julfa (2009), GharaKilisa Church 2010), Yeva (2017).